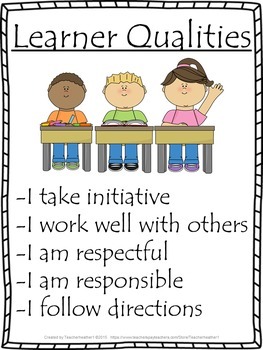 Learner Qualities Poster - FREEBIE! I hope you enjoy this fun freebie! Use this poster as a display in your classroom to remind students about what learning and active participation should look like. Laminate and display.